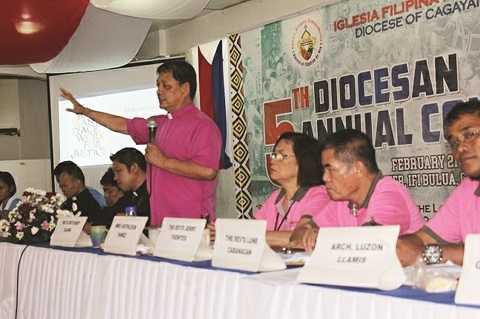 This was how Iglesia Filipina Independiente Bishop Felixberto Calang rationalized the smear campaign against him and other church workers and rights defenders. Calang is included among the personalities tagged in a flyer distributed in Cagayan de Oro City last Friday as “communists and supporters of the New People’s Army (NPA)” which the government declared as terrorists. 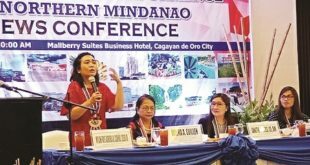 “We fear for our lives and liberty, knowing that we are in this list being circulated after a national accompaniment mission that provided support to Lumad and peasant leaders wrongfully charged and detained by the state,” Calang said. In September last year, vandalisms tagging the IFI as NPA supporters were seen in Zamboanga City and towns of Tigabo ang Kumalarang in Zamboanga del Sur. “This list is virtually ‘up for grabs’ to President Rodrigo Duterte’s announced liquidation squads or enterprising police and military men who plan to want to gain reward money by claiming that anyone in the list is an NPA combatant,” Calang added. The church leader said these attacks undermine their role of the church in seeking justice for the victims of abuses. According to the human rights group Karapatan, more than 11,500 Lumad have been displaced due to military operations, more than 8,000 civilians have been forced to declare as NPA surrenderers, while 111 trumped-up cases have been filed against Lumad leaders and teachers of vilified IP schools since martial law was declared in Mindanao. “They are suppressing the fundamental right of individuals to legal defense by vilifying lawyers involved in human rights litigation,” said Calang. 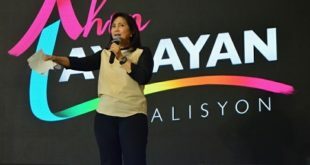 “We want President Duterte to know that we are furious with this red-tagging and communist scare because it serves as a green light for the neutralization and termination of all those ridiculously marked and identified by his state security forces and their rogue elements as wrongly as terrorists. 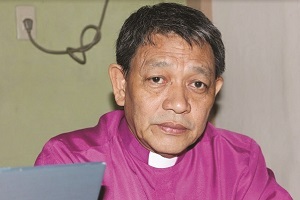 We are angry because labeling endangers the lives of our clergy and partners; we are aghast because they are simply playing the lives of these innocent persons,” said Timbang. Meanwhile, Bishop Calang called on the Misamis Oriental Gov. Yevgeny Vicente Emano and Cagayan de Oro Mayor Oscar Moreno to conduct an “impartial investigation” on the smear campaign against them, reported Davao Today.